A History of Artificial Reverb Featuring Bill Putnam, Sr.
Reverb is one of the most standard go-to effects in music production, so much so that there are literally thousands of different hardware and software solutions all designed to recreate an ambience and sound of a room. But where did it all start? It was none other than Bill Putnam, Sr., founder of Universal Audio, who pioneered the use of artificial reverb in 1947. Journalist William Weir recently covered the history of the artificial reverb for The Atlantic, and soon after the story was picked up for National Public Radio. Read on for the whole story, including quotes from UA&apos;s Bill Putnam Jr. on the legacy his father left for modern recorded music. 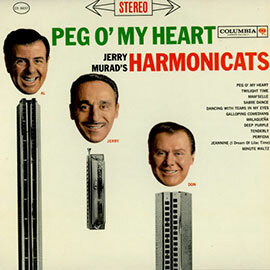 When the Harmonicats&apos; "Peg o&apos; My Heart" was released in 1947, the harmonica instrumental would have been just another catchy tune on the radio were it not for the surreal, atmospheric reverberation that drenched it. Producer Bill Putnam&apos;s use of an echo chamber (specifically, a microphone and loudspeaker placed in the studio&apos;s bathroom) was probably the first artistic use of artificial reverb in music, and it lent an eerie dimension to the song. The record hit No. 1 on the charts 65 years ago today and stayed there for most of the summer. No mere gimmick, Putnam&apos;s innovation begat a new twist in humans&apos; ongoing effort to tame the forces of echo, a quest that has shaped the architecture of ziggurats, cathedrals, and concert halls. As it happened, the otherworldly reverberations of the lavatory at Putnam&apos;s Universal Recording studio in Chicago fit nicely into this millennium-long tradition. "My dad was really intrigued by artificial reverb," says his son, Bill Putnam Jr., who took over his father&apos;s business with his brother, James Putnam. "I would say haunted, but not in a bad way..."
See and hear Producer/Engineer Joe Chiccarelli demonstrate UAD-2 Powered Plug-Ins on Young The Giant's, "My Body".